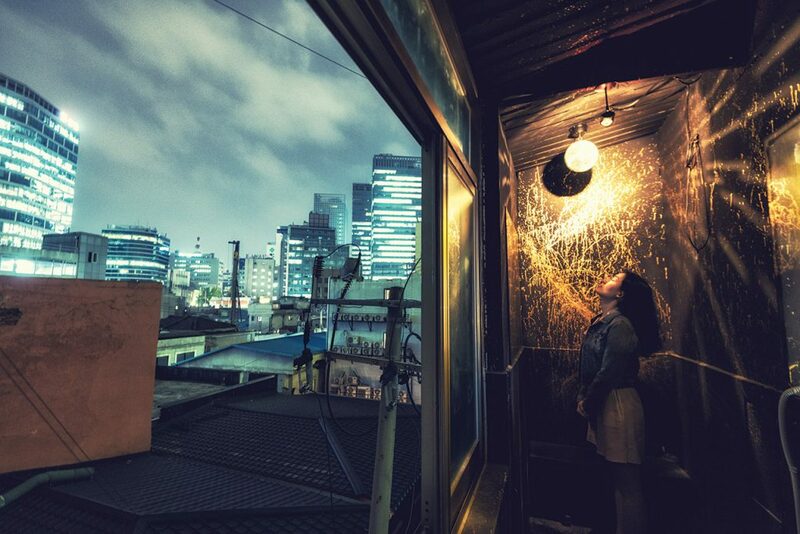 Seoul is a city of neighborhoods that blend into each other to create a gigantic whole. If there is anything that distinguishes Seoul from its peers, it is the pace of change, the energetic churning that makes Seoul feel new almost every day. Gleaming apartment complexes change the face of old neighborhoods forever. Shops, cafés and restaurants comes and go; what is in today is out tomorrow. The latest wave to roll through Seoul is a retro aesthetic drawn from images of Korean life from the 1960s to the 1980s. The trend appeared on the fringes early in the 2010s, but gained momentum in 2015 in response to the hit TV series “Reply 1988.” Set in the year Seoul hosted the Summer Olympics, the show centers on the lives of five friends and their families in a typical neighborhood in Seoul. Family and friends were close, and neighbors knew each other well. Family and friends fought and made up; neighbors gossiped and looked out for each other. “Reply 1988” was popular with people who were young adults in the 1980s. Now in their 50s and 60s, they came of age at the peak of the economic boom and democracy movement. For some, the show triggered a longing for a simpler past when life was slower and human relations deeper. For others, it stirred memories of a time of economic and political difficulty. The show was also popular among their children who are now in their 20s and 30s and have no memory of life in 1988. Their interest in the past that their parents lived through created the retro boom that is now sweeping the country. Cafés filled with vintage furniture are all the rage. Bakeries and Chinese restaurants from the era that had been slowly losing customers now have lines. Older neighborhoods that have a retro look and feel suddenly find themselves full of young people snapping pictures and enjoying selfies. The interesting questions, of course, are where does the retro boom come from and what does it mean. What do people in their 20s and 30s find so attractive about the time when their parents came of age? Some historical background will help answer these questions. The Korean economy began to grow rapidly in the mid-1960s and that continued until the 1990s, except for a sharp downturn in 1980 following the assassination of President Park Chung-hee a year earlier. The boom transformed Korea from a poor, largely rural nation into an urban industrialized nation. Military dictatorships dominated the era until democratization in 1987. The economic boom and democratization put Korea on the path toward entering the select group of wealthy democracies in the 2000s. The economic boom caused rapid social change as people poured into growth cities in search of a better life. These new city dwellers had roots in close-knit village life and carried those patterns of behavior with them to the cities. A shortage of housing forced people to live in close quarters. The booming economy demanded an ever better educated workforce and people responded by staying in school and going to universities in increasingly large numbers. Young people coming of age in 1988 were optimistic about future economic growth and the prospects for democracy. Compared to today, however, life in 1988 in Korea was much harder. The housing shortage continued well into the 1990s, when large apartment complexes helped relieve pressure on crowded cities. Many houses lacked simple comforts such as showers and hot water, to say nothing of air conditioning. Schools were strict and corporal punishment was the norm. Young men had to complete three years of military service instead of two. Far fewer women were in leadership and professional positions than today. A look at how young people have defined retro offers clues to its appeal. Seochon, an old neighborhood that sits to the immediate west of Gyeongbokgung Palace, is a good place to find out because it was one of the first places to become popular for its retro atmosphere. Like Bukchon, Seochon has many Hanok – traditional Korean-style houses – built mostly in the 1930s. It also has a few Japanese-style houses from the 1930s, but much of the neighborhood is composed of buildings from the boom years. The built environment is a hodgepodge, but makes it feel like the neighborhood in “Reply 1988” compared to the orderly apartment complexes that dominate the city now. 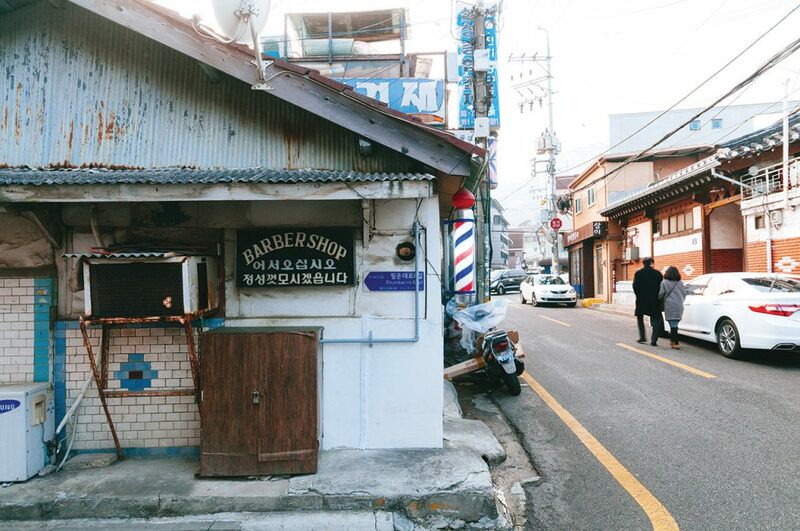 Until Seochon became trendy, the neighborhood was mostly residential with businesses to meet their needs. Many of the businesses have been there for years and the area looked retro without even trying. Yeonghwaru, a local Chinese restaurant, appeared on a TV program about the neighborhood and instantly attracted young people who came to soak up the retro atmosphere. The food is Korean-style Chinese food that became popular during the economic boom. Just up the street from Yeonghwaru is the Hyoja Bakery, another neighborhood mainstay. Beginning in the 2000s, many independent bakeries entered franchise agreements with bakery chains to remain competitive. This caused the bakeries to switch to more contemporary items, such as croissants and sandwiches, and drop items that had long been popular. By the 2010s, the Hyoja Bakery was the only established independent bakery in the neighborhood. Like Yeonghwaru, it appeared in a TV program on the neighborhood and suddenly found long lines of young people waiting to buy retro bread and sweets on the weekend. The Hyoja Bakery is near the entrance to the Tongin Market that weaves through a narrow arcade. During the boom years, it was the main place to buy food in the neighborhood, but it fell on hard times in the 2000s as supermarkets became popular. In the early 2010s, the government developed a program to support local markets, and the Tongin Market used the program to develop a boxed lunch that customers could assemble by choosing homemade items from local shops. The boxed lunch was a hit because much of the food sold in the market has a retro feel compared to what is sold in the convenience stores. The market had long been famous for several venders of round rice cakes cooked in sesame oil. Cooked rice cakes have long been a common street food in Korea, but they are retro because they were perhaps the most popular after-school snack during the boom years. An important part of the retro boom is design, and Seochon has several good examples of this. 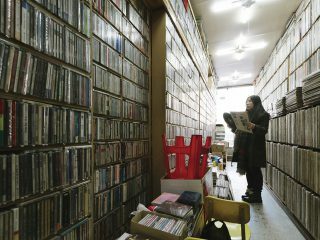 One of the first places to attract attention for its retro feel is the Daeo Bookshop on the same street as Yeonghwaru. Originally a used bookshop specializing in self-study books for school subjects, the bookshop attracted attention in the early 2010s because of the large retro sign hanging over the door. 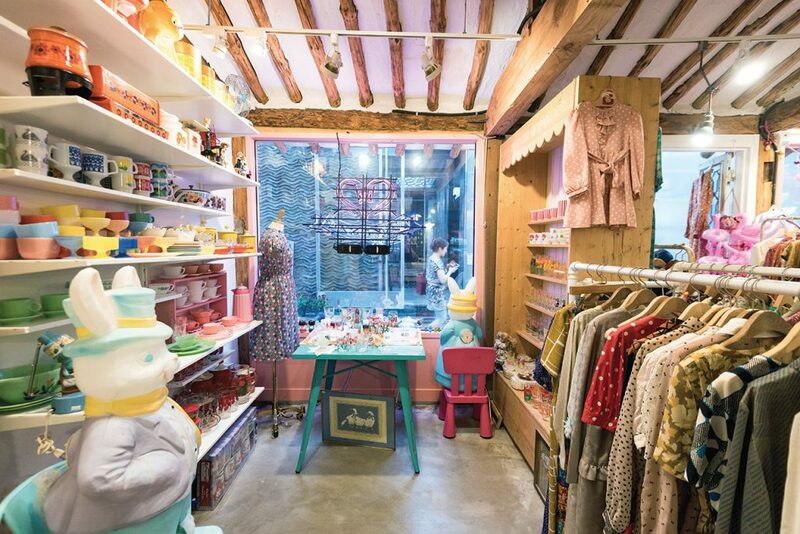 The shop is in a Hanok, which enhances the retro atmosphere. As visitors increased, the bookshop stopped selling books and turned itself into a café that doubles as an informal museum of retro. While the retro boom has given established businesses new appeal, it has also helped new businesses find their niche in repurposed spaces. 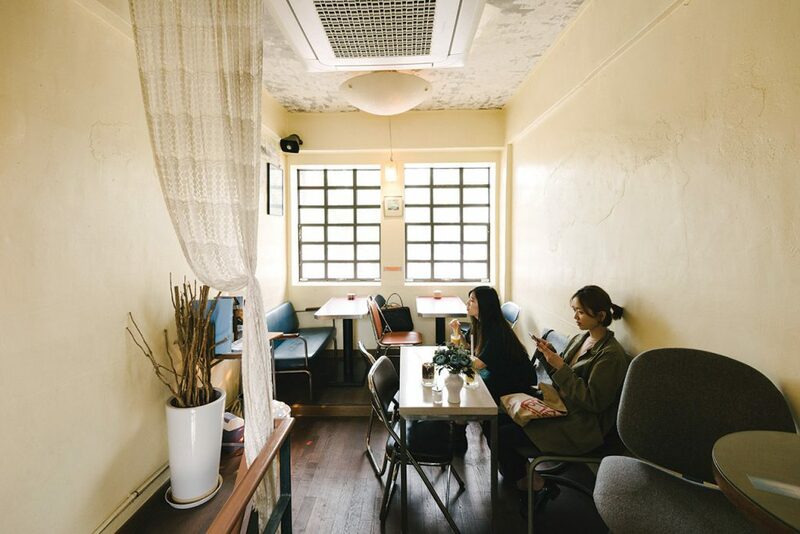 In Seochon, cafés that opened in the 2010s used vintage furniture and objects to create a retro atmosphere. One early example is Café Spring, which fills a large old house built in the 1960s. The Mid-Century modern furniture, most of which is imported from the U.S. works with the old house to create a homey retro atmosphere. Another café in Seochon, mk2, builds its retro atmosphere around a diverse collection of Mid-Century modern furniture and lighting from the U.S. and Europe. As the retro boom gathered steam, retro hot spots popped up quickly in other neighborhoods not known for being trendy. One of the most interesting is the Taegeukdang bakery near Dongguk University. The bakery opened in 1946 and soon became one of the leading bakeries in Seoul. The bakery moved to its current location in 1974 and, after years of appealing to an ever-aging clientele, it is now popular with young people who flock to see the 1970s interior and enjoy the retro sweets. The interest in retro bakeries has prompted major food companies to market retro bread and sweets. Retro cafés have begun to appear in commercial and working-class areas of the city. Coffee Hanyakbang in Euljiro is a good example. 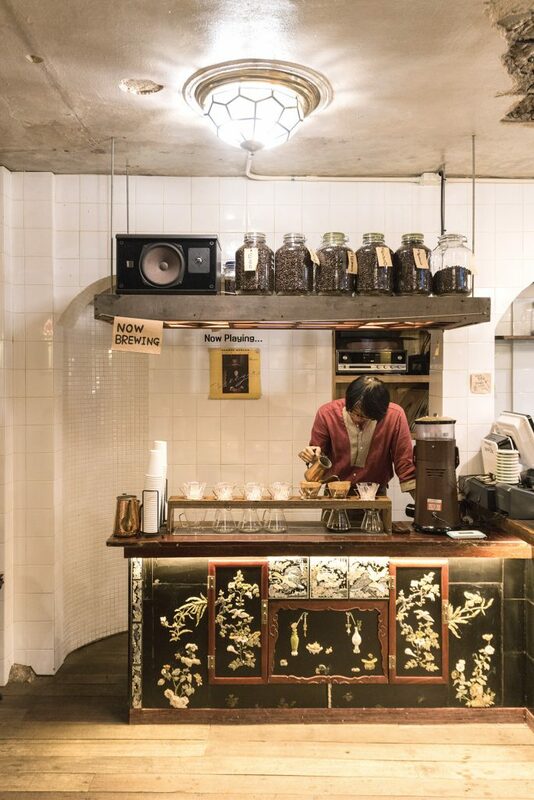 Located in a small alley in an area known for small metalsmith workshops, the café uses vintage Korean inlaid mother of pearl and black lacquer furniture and other vintage objects from the 1960s and 1970s in a spartan industrial space to create a hip retro ambiance. Near Seoul Station, Café Moon fills a small two-story space in concrete building full of made-to-fit shoe shops. The rear of the café looks over the train tracks and retro atmosphere of Seoul Station area in the background. As young people dip in and out of the cafés, they take pictures of streetscapes that come from the rapidly industrializing 1970s. The retro boom is also making itself felt in fashion and leisure. Bright colored polyester suits and flashy accessories, for example, hark back to early 1980s when increased disposable income stirred an interest in fashion. Pop stars of the time, such as Cho Yong-pil and Seo Taiji in the early 1990s, were known for their flashy suits and accessories. Another side to retro fashion is interest in school uniforms from the 1960s and 1970s. In Ihwa-dong, an artsy neighborhood famous for murals near Dongdaemun, many young people rent school uniforms and walk around taking selfies. The uniforms fit in nicely with retro atmosphere of the neighborhood, creating the perfect “Instagramable” retro experience. One of the most interesting retro trends is the revival of vintage video games. In the mid-1980s, small video game arcades spread rapidly across the country in response to popularity of Space Invaders. They remained popular until the mid-1990s when home video game consoles and computer games began putting arcades out of business. In Seochon, the Ogin Video Arcade opened in 2015 in the same small space that a popular video arcade had occupied. The arcade features restored vintage video arcade machines and other vintage games. It attracts people who grew up with video arcades and younger people who know only computer games. LPs and vintage audio equipment have become popular again, as they have elsewhere in the world. Some bars, such as LP Era Music Forest in Seochon, have walls of LPs and take requests from customers. Large cafés and bars in the 1970s and 1980s often had DJs who would play a continuous stream of requests. 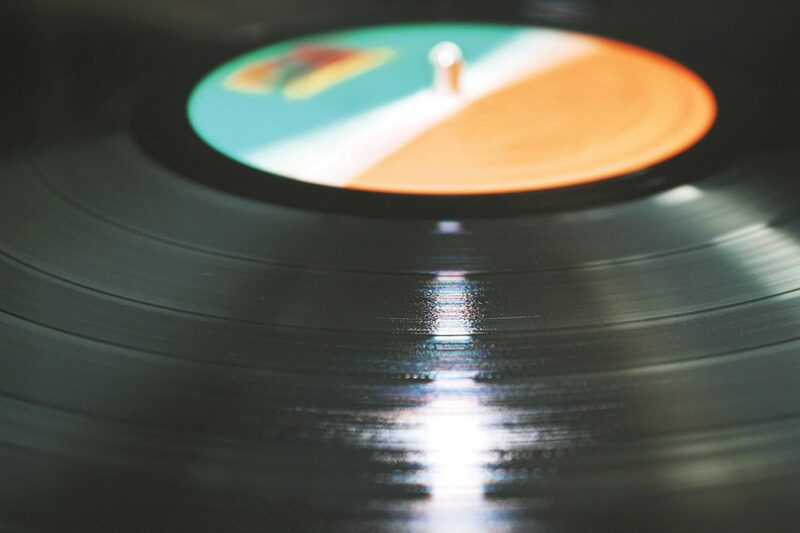 Many retro cafés have vintage audio equipment and a collection of LPs that add to the retro atmosphere. 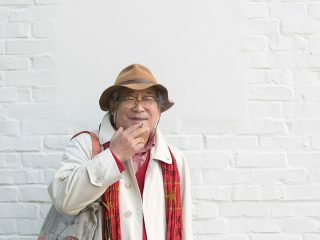 Retro in Korea and elsewhere is a trend that reflects the present, not the past on which it draws. The young generation in Korea is the first in history to have grown up in nuclear families that lived in apartments where many had their own room. They are also the first generation to have grown up in material prosperity and with opportunities that most of their parents lacked. They are, in short, the first generation that grew up in a prosperous and democratic Korea. In the 1970s in the U.S. for example, the retro ’50s films and TV shows, such as “Grease” and “Happy Days,” reflected the desire to escape the frustrations of the day and go back to what was perceived to be a simpler time. The retro boom among young people in Korea today fulfills a similar need. For all their advantages, young people find it difficult to enter a society that has become one of the most competitive in the world. The pressure to collect the right credentials and to have the right looks is immense; it constricts people and forces them to look inward. Retro appeals to young people in Korea because it stands as a reminder of a time of boundless opportunity and close connections among people. It offers an optimistic escape from the tense, sometimes gloomy present. It also offers a chance for consumption of experiences that look good on social media, which helps build self-esteem as the “likes” pour in. Meanwhile, for the generation who remembers the time, it offers a dose of nostalgia and serves as a reminder of how far Korea has come. With cross-generation appeal, the retro boom will continue to make itself felt in new and unexpected ways. Feeling nostalgic, but there’s only so many times you can watch “Reply 1988” or “Stranger Things”? Don’t fear – SEOUL is here to help. Here are some recommended places where you, dear reader, can get your retro on. 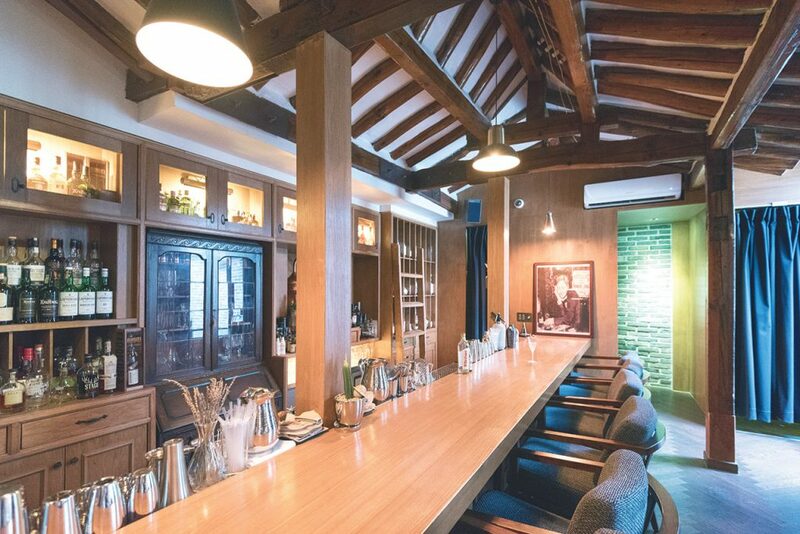 Founded in 1956, Hyehwa-dong’s Hakrim Dabang is not only Seoul’s oldest surviving café, but arguably also it’s most storied. 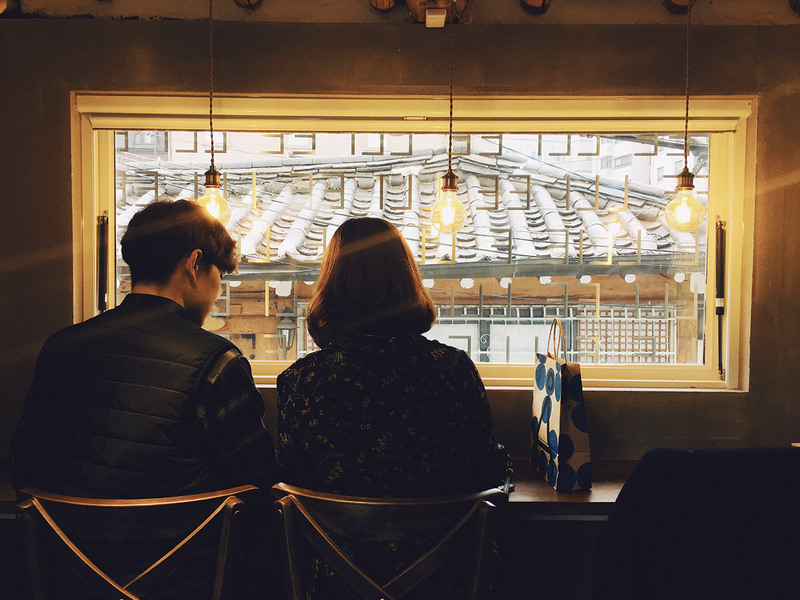 Located just across the street from what used to be Seoul National University, the coffeehouse has counted among its regulars some of Korea’s best known writers, poets, artists and intellectuals. The interior is pure vintage, from the classical music LPs behind the bar to the retro window frames. It was even used as a filming locale for “Reply 1988.” You don’t get more retro cred than that. OK, so very little about the so-called “Street of Memories” at the National Folk Museum of Korea is real. 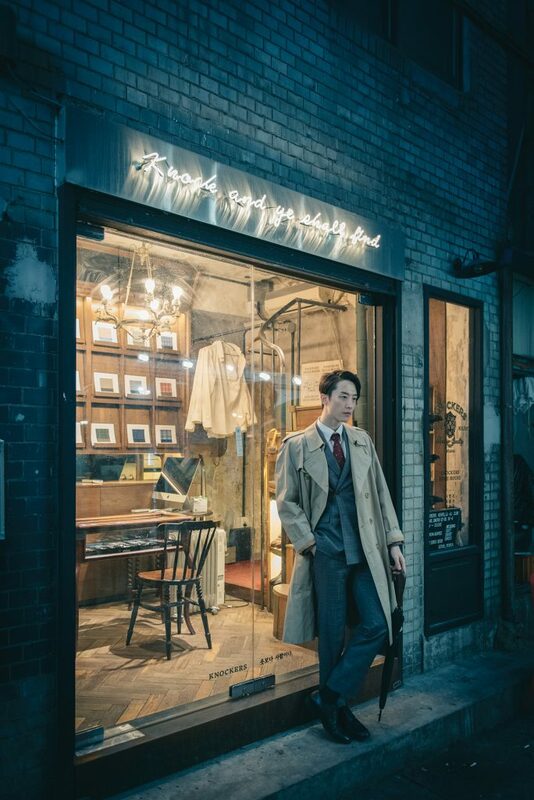 Nonetheless, the recreation of Korean life in the 1960s and 1970s, complete with a vintage barber shop, teahouse, suit shop, comic book shop and streetcar, is a great place to retro up your Instagram. “Abandoned amusement park” is usually code for “creepy,” but this one in eastern Seoul has taken on a second life as a surprisingly popular filming locale and photo spot. In particular, the old carousel is a hot place to shoot music videos, which in turn makes it a hot place to shoot wedding photographs, date photographs, cosplay photographs and general Instagram fodder. You have to pay a small fee to use the facilities. Old Chinese restaurants are trendy, too, and they don’t get much more old school than Euljiro’s Ogu Banjeom. Over 60 years old, the place screams retro, from the red brick and tile facade and old tables and chairs to the ancient heater and the big goldfish tank. The house specialty is the fried dumplings, or gun mandu. This Gangnam café draws in the nostalgia crowd with its cool collection of old gaming consoles, including MSX, classic Nintendo, Super Nintendo, Nintendo 64, Sega Genesis, Game Gear and Neo Geo. Café Huida near Banpo Station does the 1970s with style using vintage items brought from the owner’s grandparents homes in the countryside. It’s a beautiful space, really. Interestingly, this is a milk café, which is to say, it offers a variety of milks. Which is different. Mangwon-dong café Magalet looks like a remodeled home or corner store, complete with plastic seats outside and plenty of vintage furnishings. The specialty is its handmade red bean jellies, or yanggaeng, as nostalgic a treat as you’ll ever find. Located in the older Huam-dong neighborhood on the slopes of Mt. 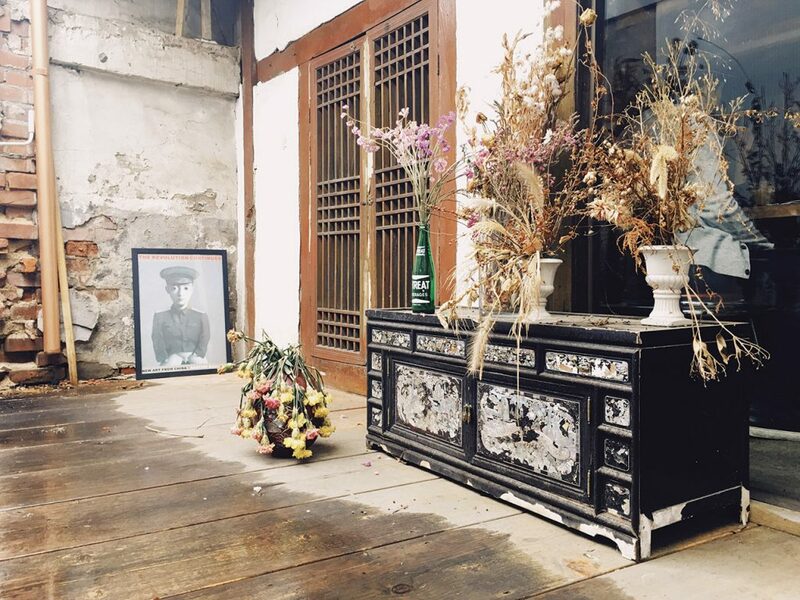 Namsan, Nookseoul takes a historical colonial home and turns it into a beautiful guest house with designer furniture and lighting. It’s a lovely combination of old and new. Seoul’s oldest stationary store has been in operation for nearly 50 years, almost 30 of which spent in its current location in front of Hyehwa Elementary School for 45 years. You’ll find lots of cool things, including old school uniforms and badges, old school stationary and old school supplies.